Chronic Wasting Disease (CWD), which is a highly contagious and deadly animal brain disorder, was recently detected in a wild reindeer and in two wild moose in Norway. This is the first time in history that CWD cases were detected on the European territory. 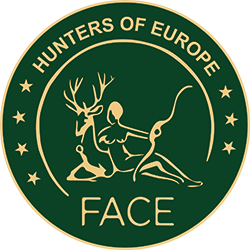 The presence of CWD in Europe represents a major concern for European hunters and many other stakeholders. While there is no indication of how this disease was introduced into Norway, the European Commission (EC) recently requested FACE to create awareness about the risk of importing/purchasing over the internet deer urine for use as hunting lures. When such deer urine originates from Canada or from the USA, where CWD has been present for several decades, such imports represent a risk of introducing and spreading CWD in the European territory, given that environmental contamination with urine (as well as saliva and feaces) of infected cervids is a well-known route of transmission of the disease, and given that urine intended for hunting lures is not processed. The EC has stated that the import of deer urine into the EU is prohibited. This includes ordering the product from a website or bringing a personal consignment into the EU territory.